A Federal High Court , sitting in Ado - Ekiti, Ekiti State, has restrained the Peoples Democratic Party from barring the Chief Makanjuola Ogundipe - led South - West Zonal Executive Committee and the zone ’ s delegates from the December 9 National Convention of the party . It also barred the party , its officers, and organs from allowing the Eddy Olafeso- led group to participate in the convention or submit any list as South - West delegates . Olafeso is the South - West zonal chairman of the party recognised by the national leadership of the party . Ogundipe , however, told journalists in Abuja on Friday , that non - compliance with the court order could affect the outcome of the December 9 national convention of the party . Makanjuola brought the court order to the national headquarters of the party in Abuja on Friday. The court sitting had earlier taken place on Wednesday. Named in the suit numbered FHC/ AD/ CS/ 18/ 2017 are: Chief Makanjuola Ogundipe , Chief Adepegba Otemolu, Lanre Orimoloye, Supo Ijabadeniyi and Femi Carena. 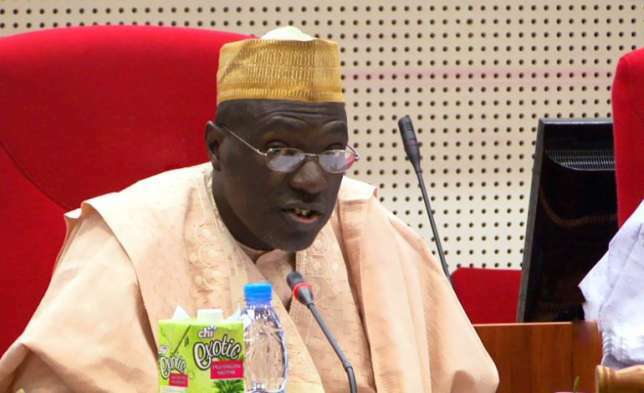 The defendants are the Independent National Electoral Commission, PDP, Senator Ahmed Makarfi , Sen . Ben Obi , Eddy Olafeso, Wunmi Jenyo , Adeola Ogunrinde and Femi Adetola . Others are Ojo Williams , Fasiu Bakenne , Philip Aivohji , Mrs . Oluwawumi Oshinroluke , Biliaminu Ogundele , Femi , Makinde, the Inspector General of Police and Assistant Inspector General of Police , Zone 2 , Osogbo , Commissioner of Police , Ondo State , and the Department of State Services and State Security Service , Ondo State. The court listed the beneficiaries of the order as Alhaji Adewole Adeyanju and Senator Buruji Kashamu , adding that they should not be barred from attending the national convection . The judge also said that no disciplinary action should be taken against the plaintiffs “ and other delegates of the party from the South - West Zone in order to prevent them from participating in the party ’ s national convention pending the hearing and determination of the motion on notice. Ogundipe said the Senator Makarfi - led NCC and the national leadership of the party had a duty to prevent impunity and lawlessness if they were desirous of building a new PDP that would appeal to Nigerians and win elections in 2019. He said , “ I say this because Eddy Olafeso and his group never emerged from a valid South - West Zonal congress. The Federal High Court , Lagos , in a ruling delivered in Suit No. : FHC/ L/CS/ 605 / 2016 on the 17th of May , 2016 , the court expressly nullified the sham congress. Till date , the order has neither been set aside nor upturned on appeal. He urged members and leaders of the party in the South - West to continue to work for the party and mobilise people for membership . In reaction , Olafeso told our correspondent that the party was already working hard to discharge the injunction , adding that the national leadership of the party wished to reposition the PDP.